Mundosparalelos Information Plymouth Pole An Elected Mayor for Plymouth? An Elected Mayor for Plymouth? Grovelling apologies not only for the lack of blogging but for the failure to blog about last weeks PoleDivas competitions, it was a fabulous event and I will blog about it and post pictures when I get a moment. However, an issue has arisen that I felt deserved today's blog space and was very time sensitive as the deadline for submission of comments is the 5th December. As you may know I have various issues with the way Plymouth City Council is run, so much so that I even stood for local elections last year (with no success), I care passionately about the city in which I live and feel we could be doing so much more to nurture and promote this beautiful harbour and surrunding countryside. 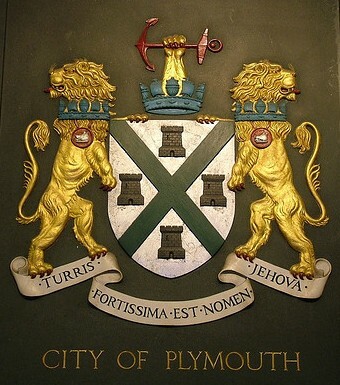 It seems we, the people of Plymouth, have the opportunity to vote to have an elected mayor as opposed to the current arrangements of an unelected chief executive and unelected council leaders yet many people I have spoken to have no idea about the possibility of reform. A personal thanks to the Herald for bringing this matter to my attention. Openess is the only way, Technical snag hits Plymouth's elected mayor vote, Have your say (a letter by Roger Prescott). I get the idea that our current council leaders don't want change as they are happy with their cosy positions but this is not about what they want, this is about what's best for Plymouth. OK, so details were posted on the PCC website but have you ever tried to navigate the PCC website? It is full of broken links and has a poor search function making it very difficult to actually find what you want. If, for example, you wanted to hire the Plymouth Guildhall you would find it difficult to find the right page and when you do find the 'halls for hire' section there are no pictures or information to encourage you to actually book the venue. What I am trying to say is that Plymouth always sells itself short, our waterfront is in a mess, our airport is threatened, our rail links are poor and in desperate need of repair, the bus station is an absolute disgrace and when a recent coach company approached Plymouth about arranging tours a PCC rep stated that Plymouth is not a tourist destination! Would this poster encourage you to visit Plymouth? Recently we have seen the re-branding of Plymouth, a controversial exercise costing thousands of pounds of taxpayers money with pathetic results, click here for some interesting reporting from the Herald. Surely rather than sitting around a desk talking about 'Positively Plymouth' and making pretty pictures on a PC (or Mac) we would have gained more from some practical actions such as clearing the streets of litter or repainting the bus station. Back to the real point of toay's blog, could we benefit from an elected mayor and are we fed up with existing council set-up which sees the same old faces making the same old decisions? I have already aired my opinion in favour of an elected mayor and have raised concerns about the lack of public awareness of this issue. "The option of having a directly elected Mayor came into being in 2000. Plymouth had a referendum on having an elected Mayor in 2002, where the public rejected the option. There is a provision where the public, via petition, can request a further referendum but not until10 years after the 2002 referendum. Incidentally, the cost of the referendum alone is £250-300,000. A new Localism Bill is being published shortly which will provide further options for the political governance of the authority, including a return to the committee system, which was in place prior to 2000. On the basis of those changes, the Government has encouraged Council's to use the most cost-effective form of consultation. The Council has discussed new executive arrangements in two meetings which were open to the public, the summons, agenda and minutes of those meetings are on our web-site. The Council will be considering this matter again on the 6th December, when again, the meeting will be open to the public. The Council also published press releases relating to these changes and since October, several articles on the subject have appeared in the local press. Those same press releases were on our web-site. People have written to the Council, sent e-mails and responded to the on-line consultation to date. That consultation remains open until the 5th December." If you want your say just e-mail Tim Howes to request a copy of the consultation document and to air your views. I will stop writing for now as it makes me rather angry but I hope that everyone gets the chance to air the views and that for once the council actually listens to its people.Well done to all those who do care abut Plymouth, the unsung heroes who arrange community activities, run businesses and do their best to make Plymouth great despite a failing council.